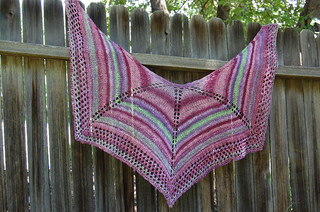 The Lulu Shawl is a simple stockinette shawl with a lace border that works up quickly in a DK or worsted weight yarn. 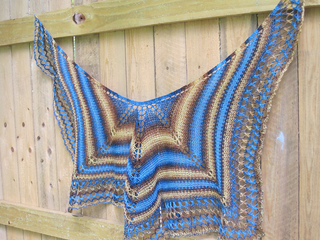 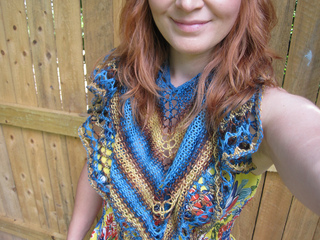 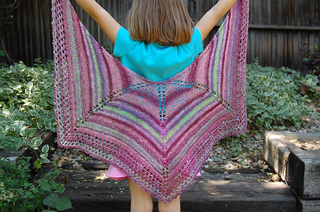 There is both a striped two-color version and a single color version of the pattern included in the instructions for the Lulu Shawl. 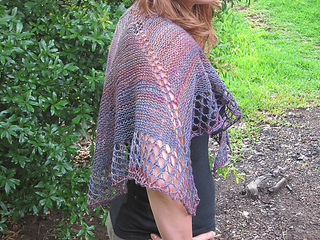 The pattern is perfect for showcasing the beauty of handspun yarns and makes a perfect quick knit for those last-minute gifts!